In a small bowl, cream butter and sugar until light and fluffy. Beat in vanilla. Add the flour, beating on low speed just until combined. Stir in pecans. Cover and refrigerate for 30 minutes or until easy to handle. Shape 1/2 cupfuls into 1/2-in.-thick logs. Cut logs into 2-in. pieces. Place 2 in. apart on greased baking sheets. Bake at 350° for 15-18 minutes or until lightly browned. 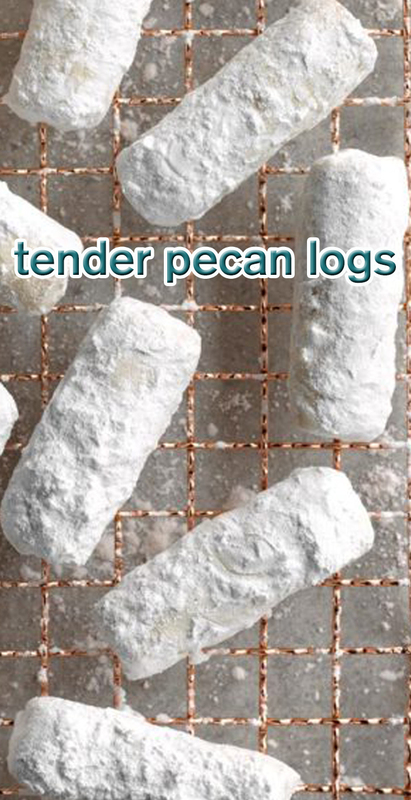 Roll warm cookies in confectioners' sugar; cool on wire racks.